As the number of corporate sponsors speaking out about the domestic violence allegations plaguing the NFL grows, so does the prospect the scandal might have real implications for the league that go beyond a mere image problem. The latest company to take action over the issue was Procter & Gamble, which on Friday announced that its Crest brand wouldn't be supplying the pink mouth guards NFL players wear during Breast Cancer Awareness Month in October and cancelled all "on-field" marketing associated with the campaign. 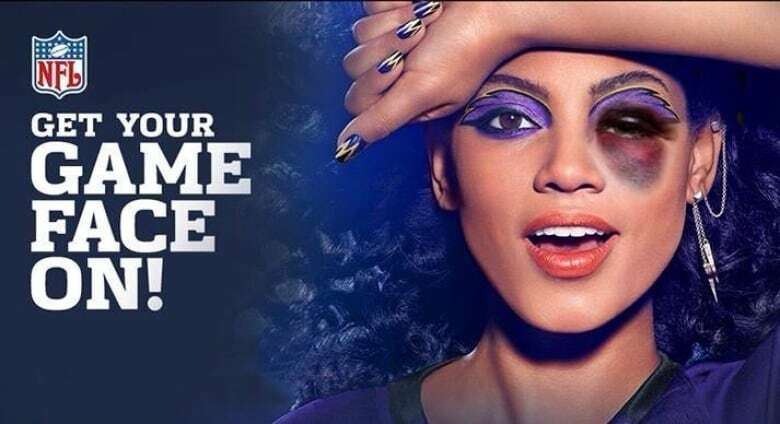 An altered version of an ad for the Procter & Gamble brand Cover Girl that became part of a protest campaign online calling on people to boycott NFL sponsors over the domestic abuse scandal. Public pressure on the global maker of everything from toothpaste to tampons ramped up after a Photoshopped version of one of its NFL-related ads showing a Cover Girl model with a black eye went viral. Procter & Gamble was the first NFL sponsor to pull its support at a national level. Most other corporate actions have been directed at individual players or teams, even though many analysts see the problem as closely tied to a culture of impunity in the whole NFL. The domestic violence scandal blew up when a video surfaced on the gossip site TMZ showing Baltimore Ravens running back Ray Rice punching out his girlfriend in a hotel elevator. (Patrick Semansky/Associated Press)​"In general, the national reaction has been tepid," said Irwin Raij, a New York-based lawyer who has represented teams, leagues and sponsors in the sports industry and is co-chair of the sports practice division at Foley & Lardner. "I think what a lot of the sponsors are waiting to see is what changes will there be to [the NFL's] policy." NFL commissioner Roger Goodell gave some indication of that in a news conference Friday in which he announced measures to raise awareness of domestic violence among players and take violations more seriously, but it remains to be seen whether it'll be enough to satisfy those calling for decisive action and a zero-tolerance policy on domestic violence. 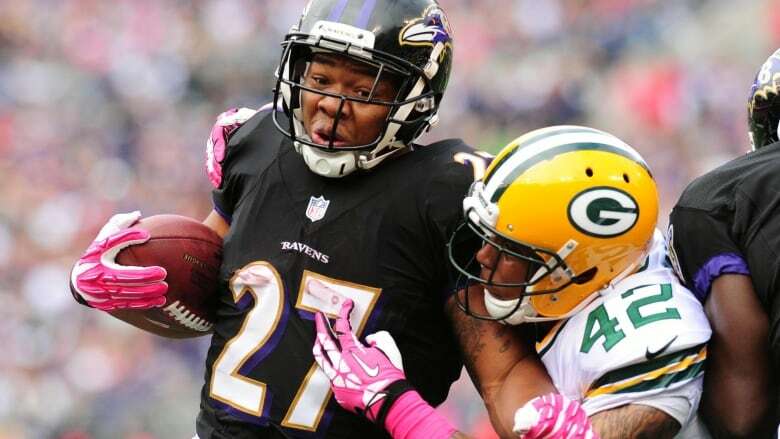 Since the release in early September of a video of Baltimore Ravens running back Ray Rice punching his then-fiancée, details of four other cases of domestic violence involving NFL players have come to light (see details at the bottom of this article). But the massive corporations that invest millions of dollars in the NFL each season have been strategic in how they've chosen to distance themselves from the issue. Nike, which spent $13 million US on NFL TV ads last season, according to Kantar Media, and supplies the jerseys for NFL teams, has terminated its endorsement contract with Rice and suspended that of Minnesota Vikings running back Adrian Peterson. Peterson is facing charges of causing reckless or negligent injury to a child while disciplining his four-year-old son with a switch, or tree branch. Rice was dropped by EA Sports from its Madden NFL 15 video game, while Peterson lost the endorsement of Castrol Motor Oil. Merchandise for both was pulled from Target store shelves, and the Radisson hotel chain suspended its endorsement of the Vikings team over the Peterson case. Most of the NFL's big sponsors, however, have stopped short of pulling ads from NFL telecasts and cancelling sponsorships altogether, instead issuing general statements condemning violence against women and children and urging the league to address the problem. Anheuser-Busch, Verizon, Pepsi, Campbell Soup and McDonalds have all put out such statements in the last week. Morality clauses in players' contracts make it easier for sponsors to cut ties with individuals than with the league, said Robert Tuchman, president of New York-based sports and entertainment marketing company Goviva. ​Companies like Anheuser-Busch, which spent close to $200 million on NFL ads last season, and Pepsi, which spent around $100 million, have structured their annual marketing campaigns around the football season. "To have to pull out now would wreck their third and fourth [financial] quarters," Tuchman said. Even if sponsors did start pulling out, chances are they would not stay away for long. U.S. professional football is a massive, $10-billion entertainment business, and live game telecasts —​ one of the last examples of television that audiences want to watch in real time — are a huge draw for advertisers, averaging 18 million viewers a game and more than 100 million for the Super Bowl. The NFL, dubbed "the league that owns everything" in a recent Wall Street Journal article, makes $1 billion to $2 billion a year off corporate sponsorships, according to Navigate Research. 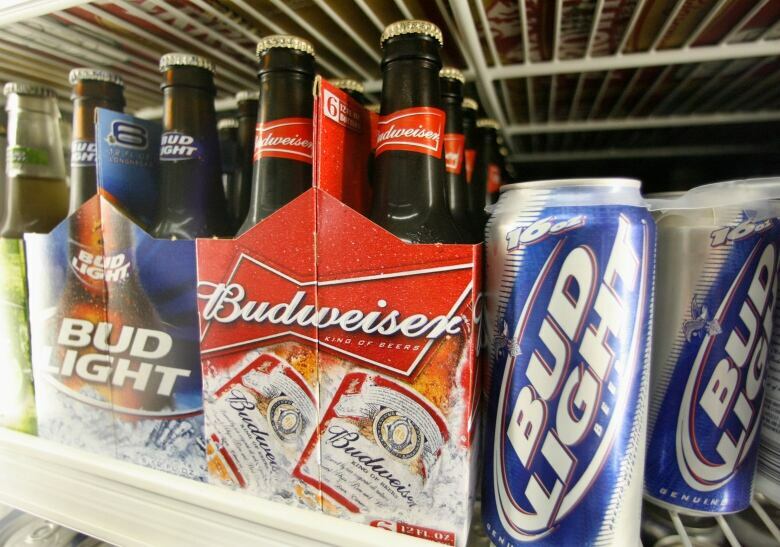 Anheuser-Busch makes Bud Light, the 'official' beer of the NFL, and is one of the league's biggest sponsors, but has so far only issued statements expressing disappointment with the NFL's handling of the domestic violence issue. (Fred Prouser/Reuters)​"Sponsorship revenues impact a variety of things, including what the salary cap is going to be for players," said Raij. "So, the leagues really do need sponsors. They can't ignore them." 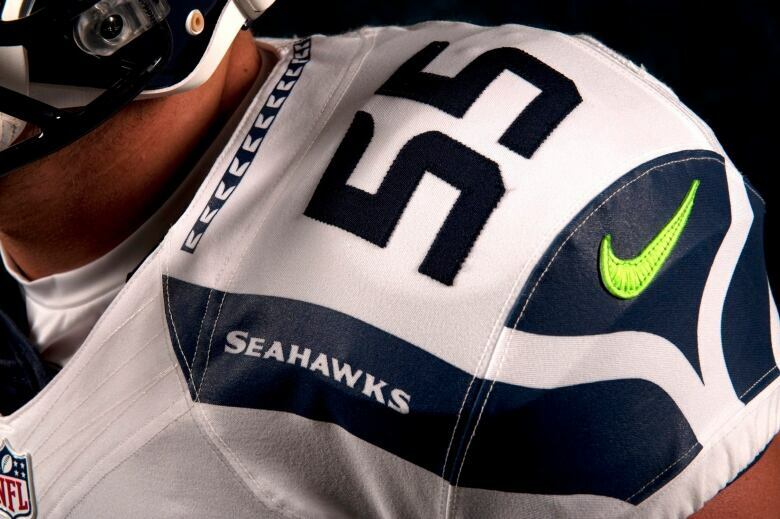 But sports economist John Vrooman of Vanderbilt University in Nashville said the NFL has multiple levels of sponsorship, so actions companies take against a player or team don't necessarily impact the league. "It is entirely possible, if not common, for clubs and the league to cross sponsors," he said in an email interview with CBC News. "For example, Budweiser (owned by Anheuser-Busch) may be widely viewed as the chosen beer of the NFL, but Miller Lite is the chosen sponsor of the Dallas Cowboys." The NFL is also insulated from the potential financial consequences of the recent scandal because of the "bullet-proof shield" provided by its lucrative broadcasting deal, worth $59 billion over nine years, and its 10-year labour contract with players, which caps their share of overall revenue at an average of 48 per cent through 2020, said Vrooman. "The NFL is a well-oiled, perfectly diversified, recession- and bullet-proof, legalized cartel," he said. The cancelling of players' corporate endorsements simply underscores how little power players have compared to the league and owners and is a way for sponsors to protect themselves by "throwing their respective endorsers under the NFL bus," says Vrooman. To truly hurt the league financially, the economic boycott would have to come from football fans, he said. So far, it hasn't. NFL games remained among the top-rated prime-time shows on U.S. television even at the height of the scandal, and ticket sales did not seem to take a hit either. "At this point, what you see is people speaking their minds, saying, 'There's something wrong here. You need to do better,' but it doesn't appear yet that the fans are walking away from the game," Raij said. Still, the controversy has attracted a degree of attention that would not have been there just a few years ago, when social media was not as widespread and images off Rice's elevator punch and Peterson's son's injuries would not have been as widely circulated, said Tuchman. "The fact that it is blowing up is a chance for the league to do something," he said. Vrooman says the NFL's response to the allegations of player misconduct has been chaotic and reactionary, but he also sees the scandal as a potential turning point. "[The] violence against women problem is not new to the NFL; nor is the league’s ambivalence. This unique in-our-face episode is perhaps the beginning of a deeper accountability," he said. 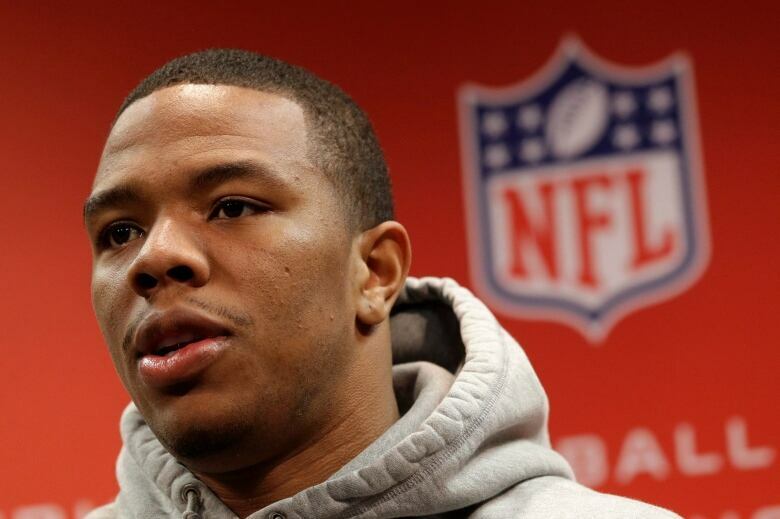 Ray Rice: Baltimore Ravens running back caught on a hotel elevator security video punching out his girlfriend. He was initially suspended for just two games, but was later released from the team and suspended indefinitely after the video surfaced online. He is appealing his suspension. The league has hired a former FBI director to investigate allegations that it knew about the elevator video as far back as April. 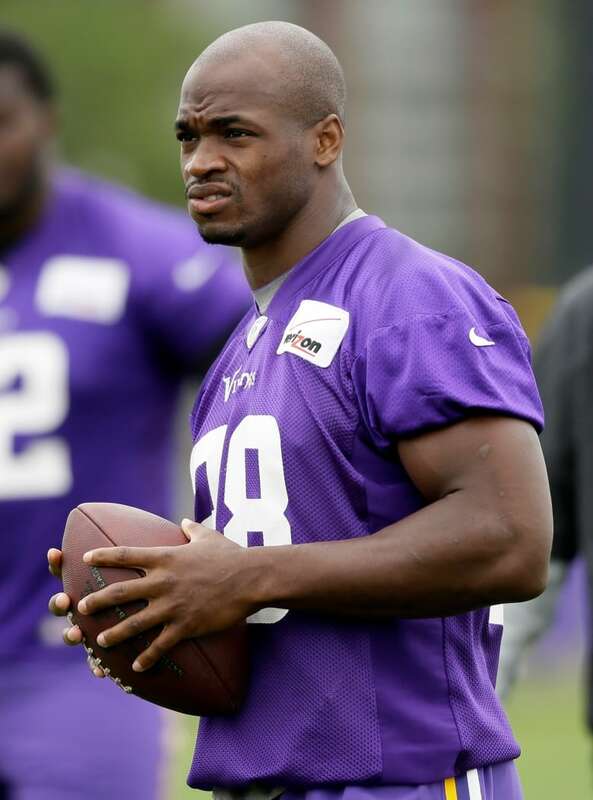 Adrian Peterson: Minnesota Vikings running back who is facing charges of child abuse for an incident in which he disciplined his four-year-old son with a switch. He was also initially cleared to keep playing, but after a public backlash, the NFL placed him on the exempt/commissioner’s permission list, which means he gets paid but is barred from playing while the case is before the courts. Greg Hardy: Carolina Panthers defensive end who was found guilty in July of assaulting and threatening his girlfriend. He is appealing the case and in the meantime has been placed on the exempt/commissioner’s permission list. Jonathan Dwyer: Arizona Cardinals running back who was arrested last Wednesday on charges of aggravated assault relating to two domestic violence incidents in July involving a 27-year-old woman and an 18-month-old child. He is out on bail and has been deactivated from all team activities. ​Ray McDonald: San Francisco 49ers defensive end who was arrested in August on felony domestic charges related to an altercation with his girlfriend and released on bail. He has continued to play, with the team's CEO saying he wanted to see clear evidence of wrongdoing before punishing the player.